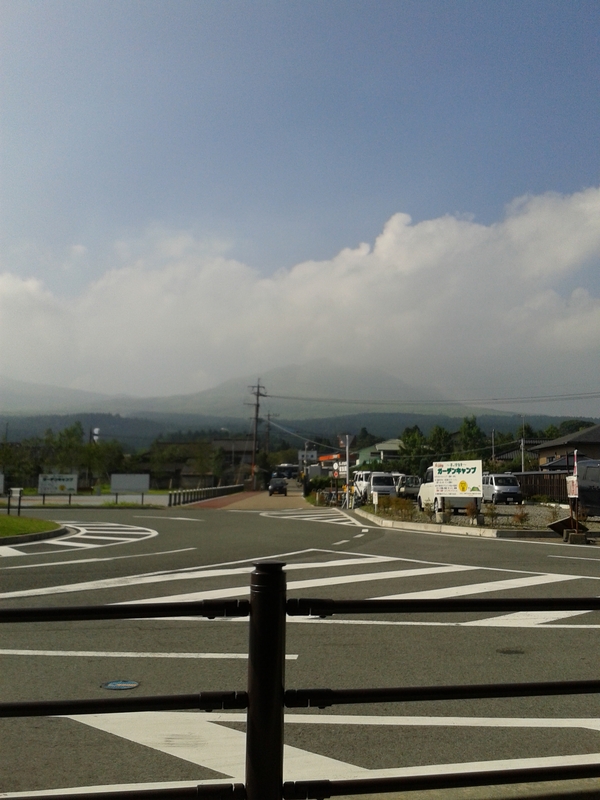 I was at the bus/train station in Aso, Japan, on the northern side of the volcano bearing the same name. Inquiring as to the proper schedule of the bus to Kurokawa Onsen, a resort of multiple Ryokan-style inns up in the mountains, each with their own unique hot springs. I had asked BusTicketBob about the time table just to make sure I would be on the bus I had reserved, since all the Ryokans were booked full for the weekend and I had (unfounded) fears that I would be riding in the luggage compartment. Siezing a moment to practice his Engrish, and quiz me on my ogre features, he popped out of his office to follow me around. View from Aso bus station. Aso-san (volcano) in far background. Pro wrestling is big in Asia right now; there are posters all over Osaka for it, the kids are eating it up, and it also explains the Indonesians’ nicknaming me Boxer and Smackdown. “How you get so big?” he asked. “Ahh, weirifting. Hai. You body very big, strong. Beautiful,” he commented. So then was all the polite bowing and arigatogozaimas and whatnot, and he left me alone to wait for the bus. I was one of maybe 5 people on it. So much for those reservations. 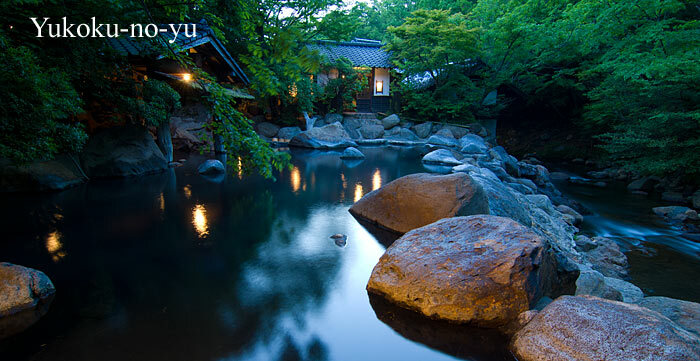 Kurokawa Onsen is about an hour’s drive from Aso, along a beautiful winding road up through the mountains. 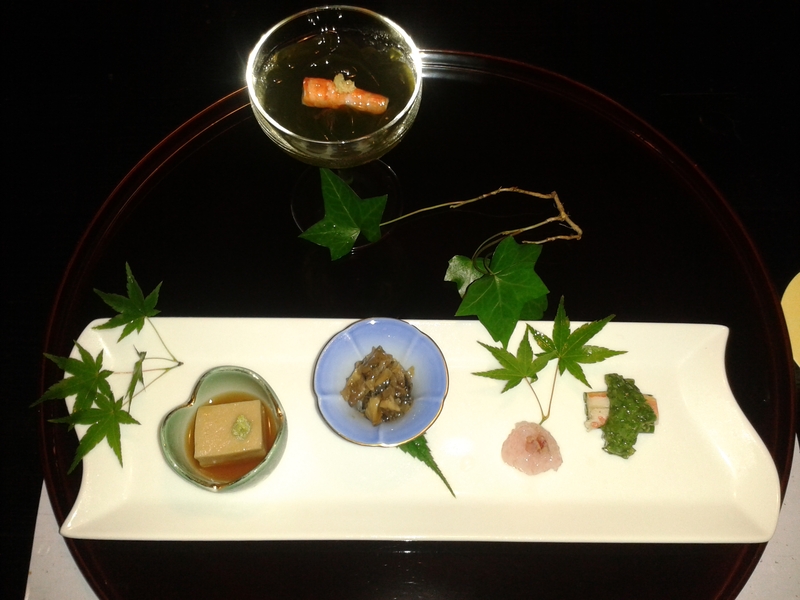 And once you get there, you are treated to real Japanese country hospitality. The spa hosts are surprised to have a foreigner here, and wonder how I ever heard of the place. It’s reputed to be some of the best onsen in Japan, and I’m staying in the ryokan reputed to be the best here, among the best onsen in Japan. It does not disappoint. Checking in, I was offered a pair of slippers but none of them fit. Source of many giggles from the spa hostesses. Then my surname, which, when said in a proper Japanese accent, can be directly translated to mean alcohol-induced unconsciousness. Many more giggles. So DrunkenStuporSan, the beautiful ogre, wanders the halls in bare feet. So basically, you can sit in a shallow pool of steaming mineral water, which trickles down over the rocks into the rushing river below, which is sourced from a waterfall which you can watch and listen to, about 20 meters upstream, while you gaze at the stars above and contemplate your Zen. The waterfall is tastefully lit at night, too. Needless to say, it’s an awesome all-around experience. All of these photos were from dinner last night, and they don’t even cover half of it; because I was so excited to be eating all this crazy stuff, I forgot to take photos. There was also soup, and a sabu-sabu (where you cook your own stuff in hot broth), and other miscellanious little things. It seemed like there were 50 dishes left over just for my meal. 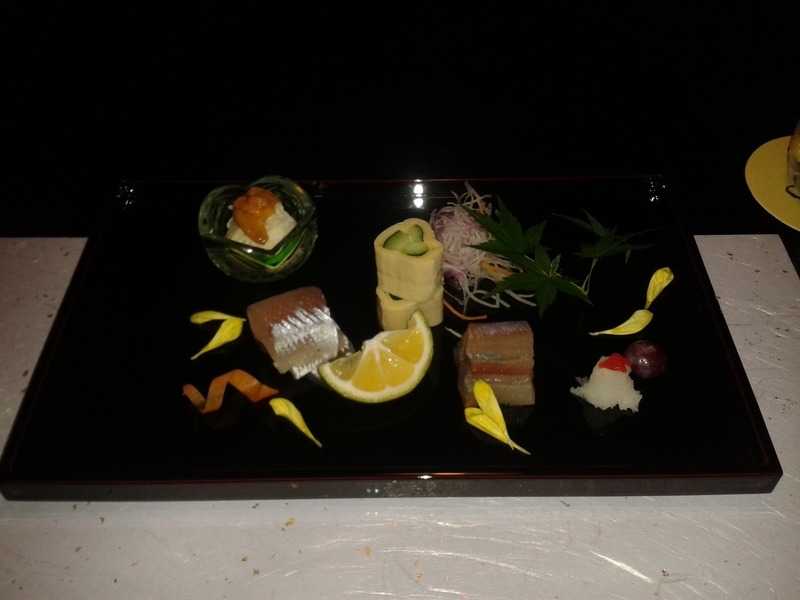 But the presentation was superb and the flavors and care in each little dish amazing. For $11, you can purchase a pass (actually a slice of wood) at the visitor center, which gives you access to 3 onsen springs of your choosing in town. Each place you visit removes a sticker from the pass and stamps it with their unique seal. Having visited other reputedly good and recommended springs, I am glad I am staying at Yamamizuki, because it really is the best. It requires a free bus ride from near the visitor center but it’s worth the time it takes to get here. First place: Yamamizuki. The outdoor spring pool, awesome staff, and quiet natural environment away from the crowd makes it the winner. 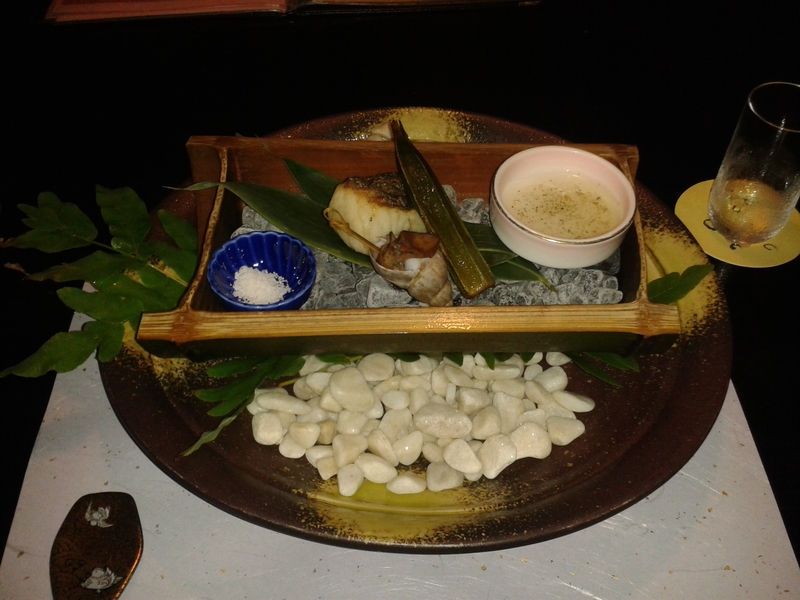 Second place: Noshiyu. Right across the street from the visitor center. It’s got smaller pools but it is surrounded by thick vegetation and the temperatures are perfect for long, relaxing soaks. Third place: Kurokawa-so. Nice facilities, large pools, several pools to choose from, and a cooldown pool as well. However the water was uncomfortably hot at times, its proximity to the highway (traffic noise), and the blocked-off view to the river (which was paved in that portion anyways) bring it down a notch. You’re nuts touring Japan with all that radiation leaking out of Fukashima. First, it’s not as bad as the media is making it out to be. What’s coming out of Fukushima now is only slightly more than the environmental permits would have allowed before the quake. Also, take a look at my destinations, and take a look at where the Fukushima plant is. Geography 101. Those who shed their ignorance and fear get to tread in wonderful places where the sheep dare not go. I’ll soak in more radiation on my transpacific flight than from being here for a month in Japan. You shoulda told the guy that you’re the drummer from Europe. Awww, man. I should have. Next time!